Happy Summer Everyone! Two new Kits for July are listed in my shop and there are two new Christmas kits coming later this month! First Class Greetings - Summer is here and its time to get creative with this fun FIRST CLASS GREETINGS card kit. You'll love the summer colors and fresh designs. 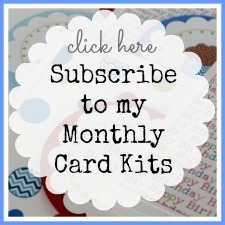 Kit includes 6 cards and 2 special mini envelope tags. First Class Greetings Party Popper Boxes - These adorable scallop edged PARTY POPPER BOXES are great for filling with candy treats, cash gifts, and any little special trinkets this summer. Kit includes die cut box shapes and all the supplies to create 6 PARTY POPPER boxes.You'll Love them. Another adorable kit as we head in to summer! Playful Greetings is truly just that, a playful collection of beautiful papers and embellishments to create some adorable cards. Unique die cuts and custom sentiments are combined with matching ribbon, buttons and more. Envelopes and color copies are included. I missed a whole month of blogging and during that month I had created one of my all time favorite kits. Truth is I was pretty wrapped up in creating this kit and the excitement of shipping thme to all my subscribers and teaching at my local store. You would have thought I would have got some blogging done too, and I am, its just a little late. Kits are still avaiable HERE. Let me tell you about the So Sweet Greetings. These adorable papers are by Echo Park Paper and more specifically Lori Whitlock. 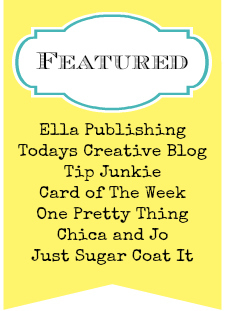 Happy I can say that i've been able to get to know Lori through our mutual work with Sizzix and she is a sweetie! Looks like we'll be meeting up in July to teach at a retailers event in Sale Lake. I've loved this paper with the little girl clothes since I first saw it in a sneak peek a long time ago. So darling it only needed a few embellishments. Goodness... the color palette is perfect for my taste! I love the strawberry red and grass green with butter yellow and how if all comes together in this adorable alphabet paper. I have not been able to stop creating with this banner shape and combining it with my favorite swiss dot embossing folder makes this card perfect! I'll be sharing the rest of the cards from this kit later on this week! Happy Mothers Day to all my mommy friends out there! Today I wanted to share my newest kit with you. I'm pretty sure that spring has sprung around most of the country and to celebrate all the new blooms i've created a new kit Garden of Greetings. Enjoy your day i'm off to spend some time with my girlies. The new year is here... My Chirstmas tree is still up and my new 2014 calendar is filling up with plans and goals and lists and all my big dreams for 2014. But what's realy exciting is that my favorite crafting holiday of the year is quickly approaching and I really LOVE to create and share Valentine kits! I LOVE helping creative friends like you shower their lovlies with handmade gifts from the heart. So here is a little of what it looks like around my craft room these days! Big piles of red, pink and polka dot scraps. I even went nuts and created something from the scrap pile! I may need rescuing soon... I just am in a creative bliss! New kits coming January 11th..
Hope your new year is off to a wonderful beginning! Today i'm sharing the final two cards from the december HELLO GREETINGS kit. After blogging all these cards form this kit I'm noticing that almost all the cards have a plaid pattern. Wintery gray clouds and a pretty polka dotty kite perfect for this enjoy card. Did you love the baby pom pom trim from this card well how about a single baby pom in the center of the newsprint flower. I love when a new idea is the perfect finishing touch! Hope you've enjoyed seeing all the December cards and hearing a few of my thoughts about them. If you jsut have to have one for yourself you can get yours HERE and if you'd like to get cards like this every single month read all about the details of becoming a subscriber HERE. Turns out there were several extras in the HELLO GREETINGS kit and here's what I did with them. Add all the little extras to your envelopes and add a little pen doodling. 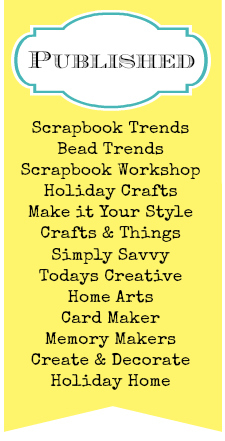 You can use this idea with any of your little scraps from your paper stash. Just make sure all the edges are well sealed if you're going to mail them. Everyone love these mini 3x3 cards. This month the Hello Greetings kit includes six mini cards. When i'm designing these mini cards its all about finding the perfect paper and layering. Then keep the details to a minimum. As I said in last weeks post theses cards make darling gift tags as well just punch a hole in the corners and add a little twine from the kit. In a way I always feel a little bad for my December kits. They always seem to get overlooked with all the holiday festivities going on. But, I love them none the less. Let me share a little about them with you. There are 5 cards and 6 mini 3x3 cards. I love the how the colors work together. So in to anything with navy and aqua lately. The mini cards can be used as cards or gift tags by adding a little twine. How about this card with the lovely little red posie paper and the out of this world adorable baby pom pom trim. Crazy cute right? For me there can never be to many patterns on a card. The plaid beauty is truly simply splendid. I bet someone you know would love to recieve this in thier mailbox. How about some plaid ribbon to perfectly compliement this beautiful floral pattern. A smiple pearl in a button finishes off the bow. In other news i'm starting to feel my blogging voice returning. I've been thinking about new things I want to do and try and hopefully that will bring new things to share. Hope your holidays are coming together nicely! Sharing one of my favorite cards from this months Up Up and Away Creative Card Kit! I've had a thing for hot air balloons lately! I've chalked it up to the fact that I need a vacation! I need to travel somewhere and see a new place. Good thing i've got two trips planned in the next two months. Utah for the Pinners Conference in two weeks and northern Arizona for Thanksgiving. The Hot air balloon die cut is for Echo Park by Sizzix and i'm adoring this token paper by My Minds Eye. Oh and did I mention that i'm also sweet on clouds... we've been having the best puffy white clouds this fall.